Dorothea knows first-hand the importance of financial planning for families and how unexpected life changes can affect even the most prepared. When her dad suddenly passed away at an early age, Dorothea’s mom held the family together and taught the importance of education, career choices, and independence. These life lessons are instilled in Dorothea to this day. With her mother’s example at the forefront, she established an extensive career in financial services. During her 30+ year career, she has held various positions in wealth management, institutional and internal sales, trading and marketing. 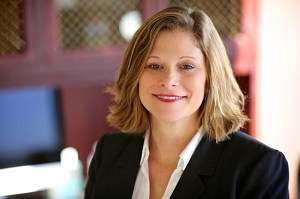 She began her career at John Nuveen & Co., Inc. and co-founded sales and trading desks at Nathan and Lewis, Gruntal and Co. Inc., and Pershing, LLC. Dorothea established a financial planning practice of her own through Raymond James and Associates. She enjoys the collaborative process, being part of a team and working towards a common goal. In addition to her financial services experience, Dorothea has comprehensive, hands-on experience in the not-for-profit sector. She is Executive Vice President and Treasurer of the Victor Zando Foundation which she co-founded in memory of her brother. She is passionate about the Foundation’s mission, which is based on Faith, Family, Education and Community, and its goal to help students and families in need. Dorothea also lends her time and talents to youth by mentoring college students and by serving on the board of the Women’s Leadership Program at Mater Dei Prep, emphasizing leadership, advocacy and mentorship for high school students. She earned a BA in Economics and History from Pace University, New York City campus and holds Series 7 and 63 licenses. She also holds a Not-For-Profit Management Certification. Dorothea and her husband, Brian, live in Middletown, NJ with their two children.